In the circles I travel, there is a familiar saying: “Prayer changes things!” But I have discovered that more often than not; prayer changes people and it’s the people changed by prayer who change things! As I write this post, I am reflecting on the state of our nation in regard to the recent findings of the jury in the George Zimmerman trial. Whether we agree with the verdict of the jury or not, this case has brought to the forefront the age-old problem of respect, race, and ethnicity in America. On one hand there are those who cry for justice because they feel that justice was not served in this case. On the other hand, there are those who say that the verdict has been given and whether we like it or not, we need to move on. In my opinion, I don’t think justice was served! It was tragic that an unarmed Black teenager was unnecessarily killed and it is tragic that his killer goes free with no repercussions! My thoughts and prayers are with the Martin family as they deal with the loss of a son and the loss of justice! My thoughts and prayers are also with George Zimmerman and his family as he and they deal with the reality that his actions were most likely motivated by the racial and cultural profiling that is rampant in America. Now while I sympathized with the Martin family, I am at the same time, sickened by the hypocrisy of the Black community! This case received national attention and there is presently protest in the Black community and elsewhere ONLY because the victim was Black and the accused is perceived to be White! 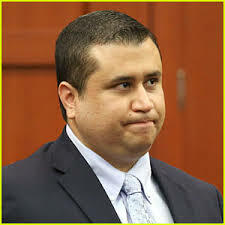 (Actually, according to Mr. Zimmerman; he is Hispanic) If George Zimmerman was a Black man, chances are, we would have never heard of this incident! Therefore I ask: What about the countless unarmed Black victims that are being gunned down EVERYDAY in Black communities as a result of Black on Black violence and crime? Who speaks for them? Where is the national outrage and protest about innocent unarmed Black children being killed in the crossfire of drug-turf wars in Black communities nearly every day! There is no national protest about that! Now again, this is not to minimize what happened to Trayvon Martin! But it very well could be that part of the reason other people de-value the lives of Black people is because Black people de-value the lives of Black people! We (I mean Black people) have run the Klu Klux Klan and other White-supremacy groups out of business! It wasn’t very long ago that Black parents feared their sons would be killed by the Klan; now Black parents fear their sons will be killed by other Black sons! Where is the national protest about that? We crucify Paula Dean for racial slurs she admitted to have uttered in the past; but what about the demeaning racial slurs Black people berate one another with in personal conversations, rap songs and videos every day? Call me old-school if you want, but to me, that is part of the problem! If you don’t respect yourself, it’s crazy to think other people will respect you! If we are going to boycott Paula Dean, we also need to boycott the gangster and hip-hop rappers who are getting paid to disrespect Black women and others with their profane lyrics! So where do go from here? What do we do? To my White brothers and sisters, I would suggest that you remember that at the core, people are just people. It is not a person’s race or color that really defines them; it is their character! With that in mind, I would suggest we all take a serious look at revising a judicial system that has turned into a warehouse distribution center for the new plantations otherwise known as the penal system. To my Black brothers and sisters, we need to take responsibility for our own and respect ourselves! Quit being so quick to always place the blame on the “others” when often (not all the time; but more often than not) the blame is with the “brothers” (and sisters)! How can change happen on a national scale? Don’t expect it to come through legislation or laws. It will come; one person at a time! It will come when we, as individuals, quit demanding, depending, or waiting on other people to change! If there is to be real change, then we as individuals, must be changed, be the change and make the change!